Your work is often labor-intensive and we know how important it is to get to height safely and quickly. 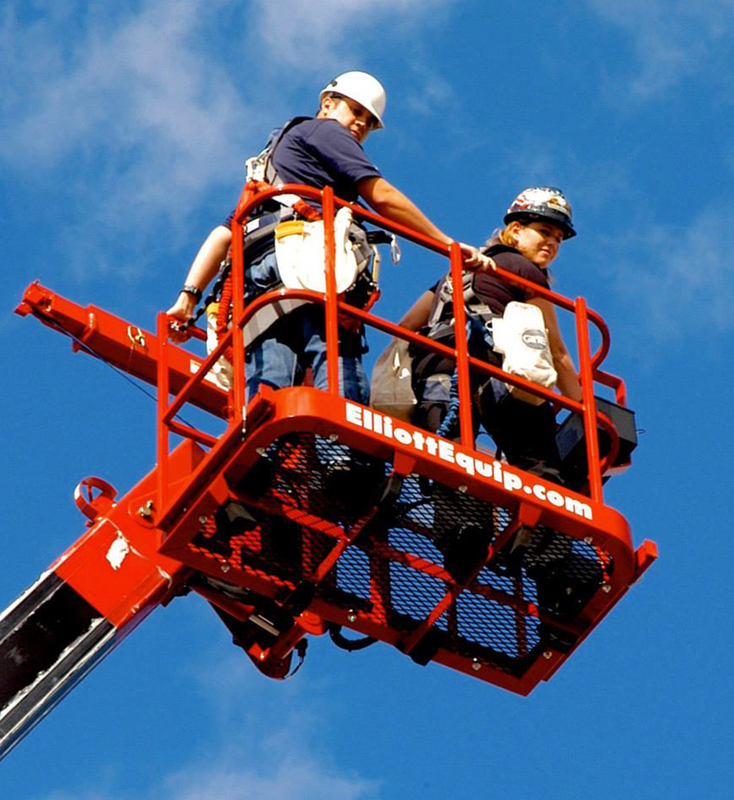 Elliott Equipment Company designs and builds every telescopic mobile work platform (HiReach) from the ground up with standard features that equip it to do your toughest jobs, every day, no matter what. At Elliott, we believe your equipment should ease your workload. That’s why we manufacture tools to streamline jobs and enhance safety in the field while maximizing service life and resale value. These ANSI A92.2-compliant vehicles have material handling capacities up to 15 tons and can safely position people and materials to heights from 45 to 215 feet. Elliott’s HiReach aerial mobile work platform turns a two-truck job into a one-truck operation that offers safety, stability and turnkey customizability with the ability to complete multiple jobs at once with efficiency and precision. These telescopic mobile work platforms serve as multi-functional tools offering aerial access, material handling, hole digging and an aerial work station equipped with all the tools you need to do your job. Multi-functional capabilities (aerial access, material handling and more). ANSI A92.2 compliance eliminates need for trial lift & proof test. Oversized two-man hydraulically leveling and rotating work platforms. ‘Point and Shoot’ rugged telescopic boom design. Fully hydraulic boom extension on most models. ‘Of­fice in the Sky’ work platform tool accessory system. Includes lines for 110/220V, welder, oxy/acetylene, air, water, hydraulic and more. Dynasmooth proportional work platform joystick controls. Oversized boom rotation bearing and gearbox. Full-length heavy-duty subframe for improved stability and longer chassis life. Quickly detachable ‘EZR’ work platform. 46kV category ‘C’ insulated models. 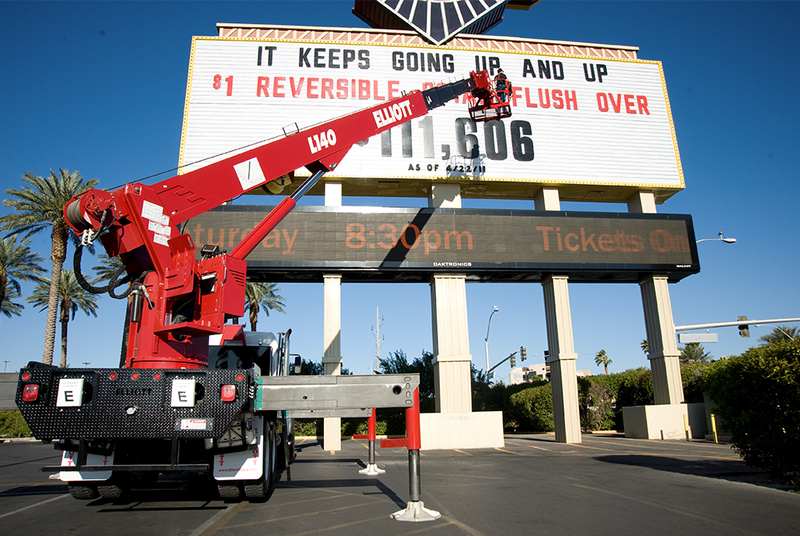 Purchasing equipment such as a telescopic mobile aerial work platform is a big expense. Buyers are absolutely right to examine their options carefully to ensure that such a significant capital investment will lead to a positive return on investment. Everyone’s circumstances and long-term plans are different. Our free guide to determining true cost of ownership of aerial equipment is a great resource you can use as you evaluate a heavy equipment purchase. When looking for a truck-mounted telescopic mobile work platform manufacturer, you want to find a team that knows the industry inside and out. To find out what you should look for in a material handling telescopic aerial work platform manufacturer, click here. At Elliott Equipment Company, we work closely with you to engineer the most valuable tool that meets your needs on every job. Whether it’s special outriggers, custom toolboxes and lighting or platform productivity tools from our ‘Office in the Sky’ package, Elliott’s engineers will work with you to make sure you have a cross-functional machine that makes your work more efficient and profitable. For technical specifications, download our HiReach brochure.